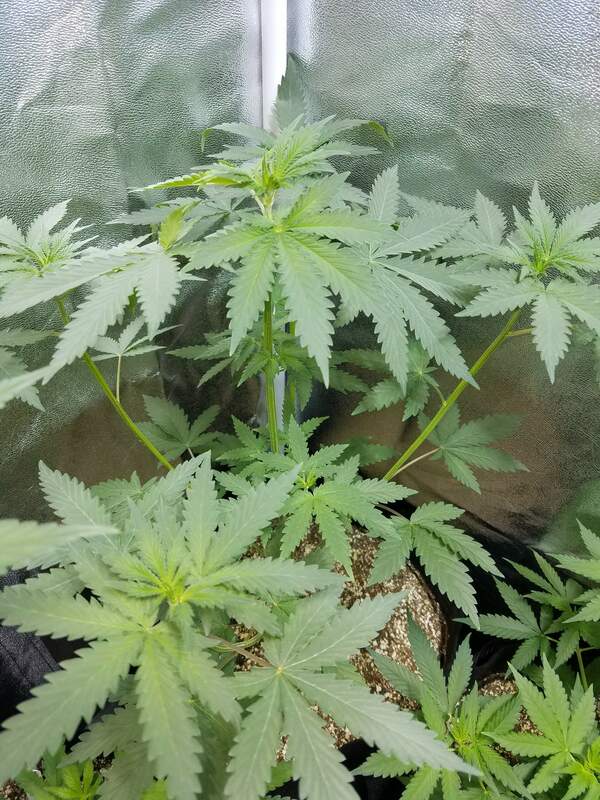 Day 41 for all of my autos I have 2 which are the #candy kush #2 and kush doctor #1 that Show how much light really make a difference to these autos. They are so much far ahead into flower then the others that started getting really good light days later. The rest have stretched so good and there inners are coming strong! my sucker punch is a late bloomer too...however I topped her once and then topped them again...so four colas and she still sittin over 20 inches tall so far...were almost on the same day exactly in our diaries...im running auto pounder too and her buds are HUGE already...day 44...im not running a comparison of growers my friend but in comparison I would say these genetics are very stable and super consistient...im working on getting bigger lights after this grow...your doing a stellar job here and these babies are fixing to all develop differently....feeding will be a pain to say the least...you got your work cut out for you my friend...I commend you and wish you the best...will also be nice to see what I yield off my sucker punch with LEDS all the way in comparison to your sucker punch and lighting setup...I really appreciate the good documentation and effort here its a big help to a newbie like me...THANKS!!! !